Re:treat Medispa is a modern facial aesthetics clinic and medispa, specialising in Cosmetic and anti-aging treatments led by Dr. Shadi Eddin. We are unique in offering cutting-edge facial Aesthetic treatments, Beauty treatments and Ozone therapy in our serene treatment rooms with our team of highly qualified Clinicians and Therapists. Our clinical director Dr. Shadi Eddin BDS DPDS is well respected in the industry and has helped the spa to achieve Save Face accreditation, which shows we comply with the highest standards of patient care, cross infection and clinical training. Each client is an individual with specific concerns, so we provide a personalised treatment plan and advice which is customised to suit you, based on your budget and personal circumstances. With a transparent and educational approach, we do not sell or promote treatments unless they are of benefit to you. We strive to provide you with the best treatment and advice including lifestyle and environmental factors to maintain your skin health and achieve anti-aging benefits for the long term. We favour the use of subtle enhancement and rejuvenation techniques to give optimal natural results. We like to look after our clients and our client testimonials highlight the superior service we try to achieve. 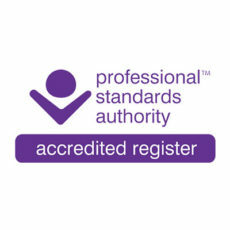 We are fully insured and all our staff are highly trained with relevant qualifications. We pride ourselves on delivering a high standard of care before, during and after your treatment, including follow up appointments and advice. We achieve this through a caring and customised service.